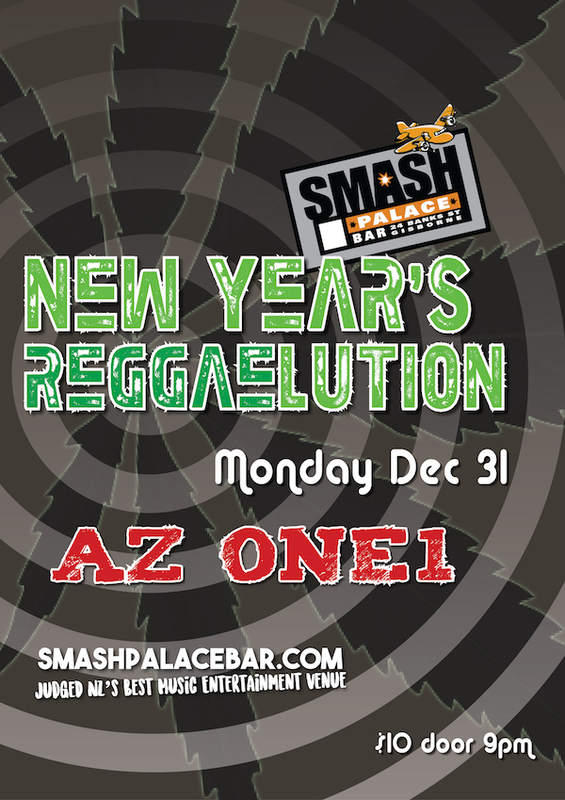 Smash Palace in Gisborne is an awesome place to see in the New Year, with our annual New Year's Reggaelution show and the friendliest bunch of people you'll ever meet from Gizzy and all around the world. This year we have East Coast Reggae all-stars Az One1 bringing in 2019 with all your favourite reggae hits. Show starts at 10pm.